Home could be where you hang your head, like Groucho Marx said, or it could be from where you turn your head and decide not to watch. However, now and then, a letter from home arrives and convinces you to visit. One newly found paper from the Faculty of Philosophy in Zagreb, Croatia, had a similar effect. 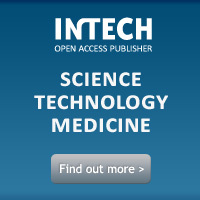 The letter from home was written by Ivana Hebrang Grgić and it was titled Open Access to Scientific Information in Croatia: Increasing Research Impact of a Scientifically Peripheral Country. The study introduces some basic OA concepts and then switches the focus to understanding of such concepts in Croatia, and to OA awareness among Croatian scientists, librarians and governing bodies. The global scientific community does not understand scientific articles written in Croatian, but Croatian scientists can more or less understand English written texts well, and read them, and many write in English to ensure better visibility, usage and impact of their articles, Hebrang-Grgić explains. 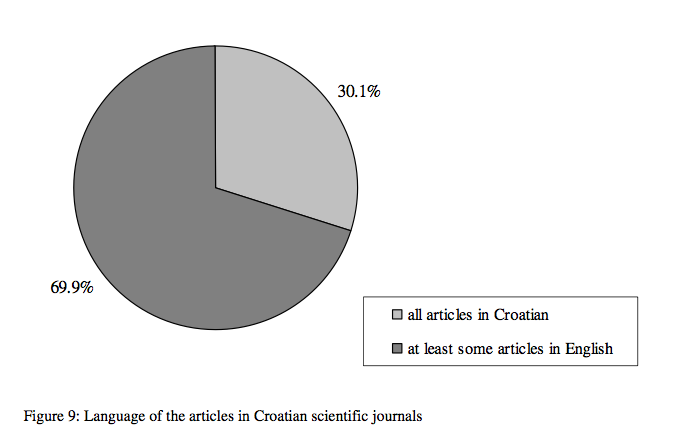 The figure from the study shows the usage of English language in Croatian scientific journals. Seemingly, nothing should impede the progress, but numbers and figures always acquire new meaning when put in Croatian perspective. A great number of journals is still not great enough and the production of scientific journals in Croatia is still not as massive as in scientifically “non-peripheral” countries. However, Croatia is not in shortage of “goods”, but in someone to collect it. Hrčak portal offers (since 2007) Open Journals System (OJS), open source software for creating and maintaining an electronic journal as well as for automated peer-review process. Hrčak also provides technical support, maintenance and data protection. The portal is OAI-PMH compliant and ensures long-term archiving. The author comments: “Although Croatian librarians are aware of the importance of OA repositories, the number of the repositories is too small and something has to be done on both institutional and national level. On the national level a working group should release guidelines for setting up a repository. The document should help librarians in deciding how to organise a repository, which software to use, which policies to apply etc.” This is quite contradictory to self-repeating statement by Hebrang-Grgić that “in Croatia, the importance of OA is recognised by the Government, scientists, their institutions, their libraries, associations and publishers.” The movement obviously lacks engagement from both libraries and the government, and other than few organizations such as Croatian Academic and Research Network (CARNet), no one is really educating Croatian scientists and students about the values of making their work Open Access. This is a true description of the Croatian situation: great vision and clueless spinning in the wheel until the idea wears off. This entry was posted in Developing Countries, Open Access, Open Access Repositories and tagged Croatia, Croatian Librarians, Croatian National Libraries, HID, Hrcak Portal, Hrčak, OA, OA journals, Open Access, Open Access Croatia, Open Access Journals, open access repositories, Peter Suber. Bookmark the permalink. 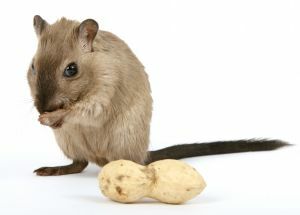 1 Response to Open Access in Croatia – Storing Hamster Food or Running in a Hamster Wheel?